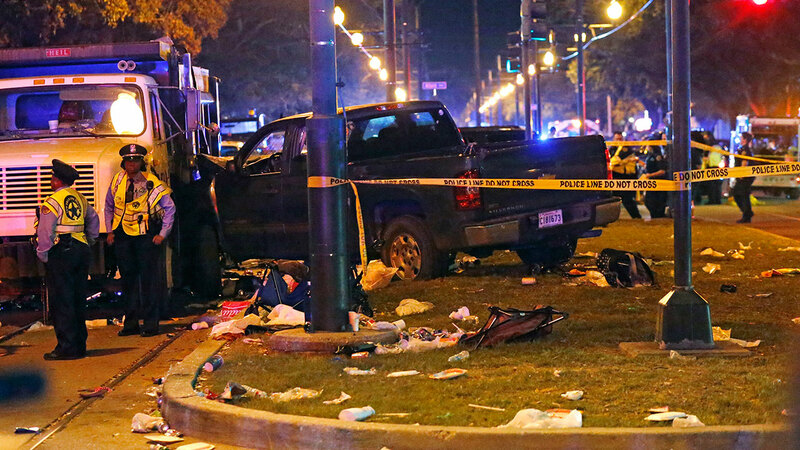 NEW ORLEANS -- A suspect is in custody after 28 people were injured Saturday when a vehicle plowed into a crowd watching the Krewe of Endymion parade in the Mid-City section of New Orleans, police said. Police Chief Michael Harrison said the suspect is being investigated for driving while intoxicated. Harrison was asked twice by the media if terrorism was suspected. While he didn't say "No" he did say it looks like a case of DWI. "We suspect that that subject was highly intoxicated," he said.